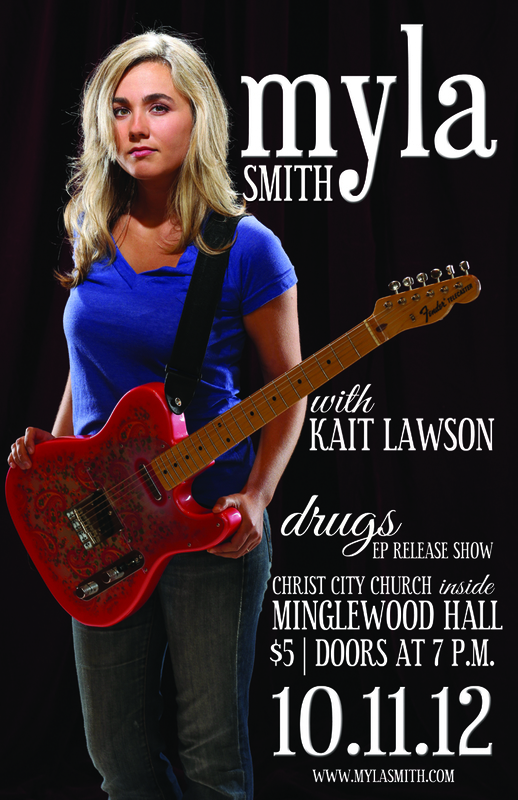 Tomorrow is the much anticipated release show for Myla Smith’s fourth EP: Drugs. Produced by James Joseph, Drugs is Myla’s “most mature, assured and fully realized effort to date.” You can listen to her single “Slow Down” and pre-order the record on Myla’s Bandcamp by clicking here. The release party is over at Christ City Church in Minglewood Hall, and doors are at 7 p.m. with a $5 dollar cover. She’ll be joined by the talented Kait Lawson of Madjack Records. If you can’t make it to the release show, be sure to tune into WREG at 9 a.m. on the October 12 for her live set, or to Good Morning Memphis on Fox13 on October 19.